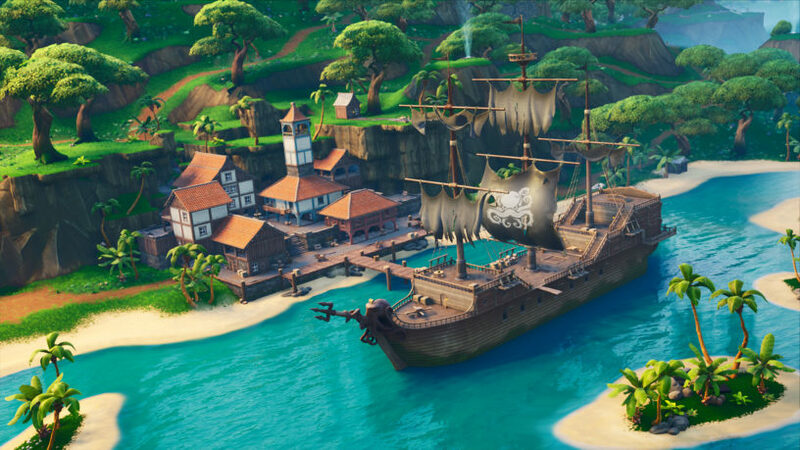 Fortnite: Battle Royale who have been working in the excavation sites might be frustrated to learn that the Loot Lake site is covered in dirt once again. After the v8.30 update was deployed today, everything players had uncovered at the Look Lake digging site a few days ago is now covered again, and players can still dig it up to uncover the whole site a second time. We expect that this time something will actually happen once players are finished, which might mean everyone was too fast for Epic’s expectations at first, so the company had to make them do it all over again so as not to spoil the surprise. The digging site at Look Lake was the last one players spotted. They only uncovered a single treasure chest and saw a metal hatch under the dirt that they were unable to open or deal damage to. Since then, players had given up on it and were expecting the hatch to open with this new update, which hasn’t happened yet. All dirt chunks in this digging site have 100 million health points and can be destroyed collectively by all players in all servers around the world. The damage players deal in their own game is processed server-side and shown to other players as a passive health decrease in each chunk. Despite the health points seeming like too much, players can expect the whole site to be fully uncovered later today, based on previous excavations of this kind. Regardless of what Epic is trying to hide, something should happen after players dig up the whole Loot Lake site this time. If there was nothing in it after the v8.30 update, there would be no reason to cover it in dirt again. Players can expect something interesting after this latest excavation work is done.